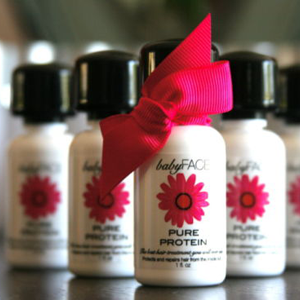 BabyFace Beauty is the best online retailer of high quality beauty skin care products and solutions that include hair growth serums, hair loss shampoos, vitamins for regrowing and re-growth of hair, hair building fibres, and potent castor oils which are perfect to help with your hair growth. As well as hair growth solutions, we also stock a wide range of anti-wrinkle serums, including collagen boosters and Hyaluronic Acid products. 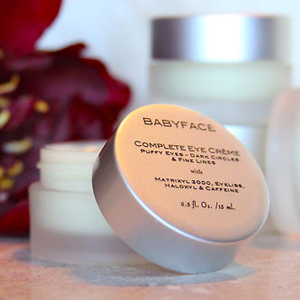 At Baby Face Beauty you will find only the top of the line skin care products that normally cost hundreds of pounds in stores – we offer them at a price everyone can afford. Natural hair oils are a prerequisite for beautiful hair. Unfortunately almost everything that happens to hair removes its inherent protective oils. From blowing in the wind to warming in the sun to being cleaned and styled, everything hair goes through during a typical day has the potential to remove the natural oils that ensure the health and beauty of hair. The inevitable result is dry, brittle hair that cannot be controlled and eventually breaks. Fortunately there is a way to revitalize dry hair by putting the natural moisture back with treatments containing healthy hair oils. Gro-Aut Hair Oil is a herbal solution, penetrating the hair shaft to moisturize and protect, promoting shine and manageability as well as the nourishment needed for hair to grow as long as possible. Bhringro Hair Oil concentrates on providing nourishing vitamins essential for healthy thicker growing hair. Maha Hair Oil is especially formulated to discourage early graying and to slow premature loss of hair. Pure coconut oil softens the hair as it moisturizes and acts to prevent breakage. Any one of the four is a useful hair treatment in itself, but some users find that the maximum benefit comes from combining two or more oils. No matter what the condition of your hair or the stresses to which you have to subject it, a properly formulated oil treatment can be a big part of your hair care regimen. 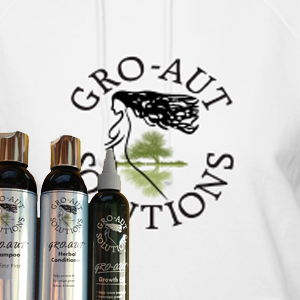 Oils from Gro-Aut are designed to promote healthy hair growth and natural shine. Try any or all of our hair oil products and see how much help they provide in growing long, sleek beautiful hair. ….with the best prices and the latest scientific breakthroughs in the beauty care product sector. With skin care products ranging from skin lightening masks, non chemical face peel, skin moisturisers with Matrixyl 3000 and toner mist sprays all the way through to the best anti ageing products like wrinkle prevention peptide lotions, you can always feel fresh and alive. Feel free to take a browse through our beauty care products and contact us for any questions, whatsoever, regarding any of our items for sale.